The official designation for this aircraft is the A-10 Thunderbolt II, named after its illustrious WWII predecessor the P-47 Thunderbolt. However, the nickname “Warthog” is so popular and well loved that it appears in official documents. This is a beloved airframe: a robust ground attack aircraft proven time and again in battle. And the stories behind it are just as interesting as its combat record. The A-10 Warthog reflects the changing nature of warfare at the time. As the Vietnam conflict developed, it became apparent that the U.S. Military needed a new generation of ground-attack aircraft. These birds must be faster and more robust to deliver firepower to the battlefield while evading enemy fire. The U.S. Army solution was the development of a new generation of attack helicopter, beginning with the AH-1 Cobra and culminating years later with the AH-64 Apache. The Air Force had another idea, and looked for a fixed wing solution. The existing prop-driven attack planes were woefully ill suited, so they took things in a new direction. Enter: The A-10. Pennsylvania Air National Guardsmen flying in a KC-135 from Pittsburgh’s 171st Air Refueling Wing refuels an A-10 aircraft March 5, 2017. In 1966 the U.S. Air Force issued a Requirements Action Directive, outlining its needs for a ground attack aircraft and inviting manufacturers to submit a potential design. The requirements were simple but challenging to fulfill. The new aircraft needed to be inexpensive, robust, with payload of 16,000 lbs, a takeoff runway distance of 4,000 feet or less, a long loiter time, excellent low-speed maneuverability and extreme survivability. A company named Fairchild Republic answered the call, and began working on prototypes that would become the A-10. While the A-10 is renown for durability, the first adoption of the aircraft did have a few problems. When production began in full in 1976, initial fatigue testing failed to meet the new 8,000 hour standard. However, further testing by the engineers at Fairchild Republic found that they needed to reinforce the airframe in order to fix the issue. This was relatively minor. After the correction, 715 airplanes were ordered at the rate of 15 aircraft per month. 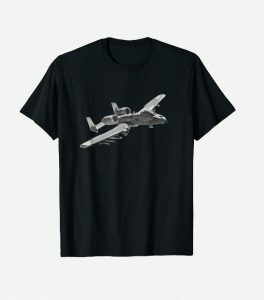 The design of the A-10 Warthog is nearly unique. It reflects the aircraft’s mission. The large wing area, large ailerons, and high wing aspect ration all contribute to the A-10’s excellent maneuverability particularly at low speeds. The wing design, combined with oversized turbofan engines, also allows the A-10 to take off and land on shorter, primitive airfields. This increases its flexibility by letting it operate closer to the front where it is needed. The airframe is designed as a honeycomb structure, which decreases weight while adding strength. 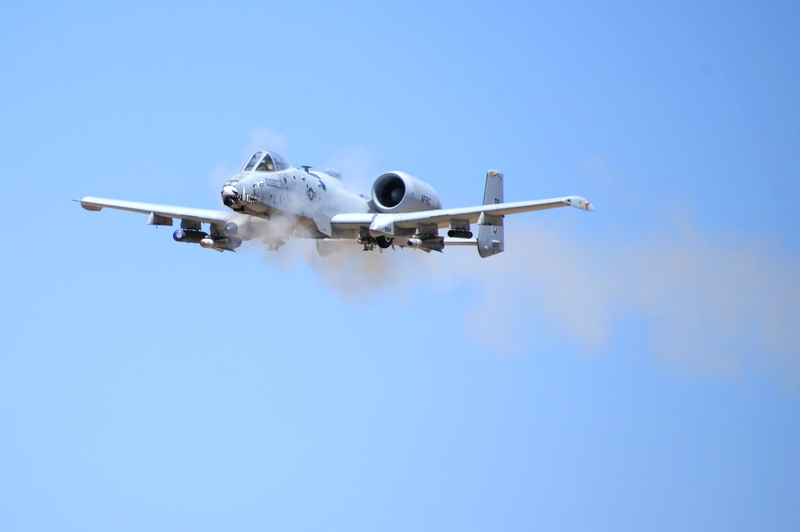 This allows the A-10 to fly further and longer in order to engage targets. One of the most interesting A-10 facts deals with its armor. The skin of the aircraft is not structural, and any damage done to it does not compromise the heavily reinforced airframe. The cockpit and flight control functions are the most heavily protected. These are surrounded by 12,000 lbs of titanium aircraft armor in a configuration lovingly referred to as “the titanium bathtub”. Angled to deflect incoming fire, this armor has a nearly flawless track record for keeping pilots safe. Combined with the windscreen and canopy—which are also resistant to small arms fire—the total armor on the aircraft makes up just over 7% of its empty weight. The key to the A-10’s success is its design, and that design includes impressive engines. Twin General Electric TF34-GE-100A turbofan engines provide a huge amount of power. 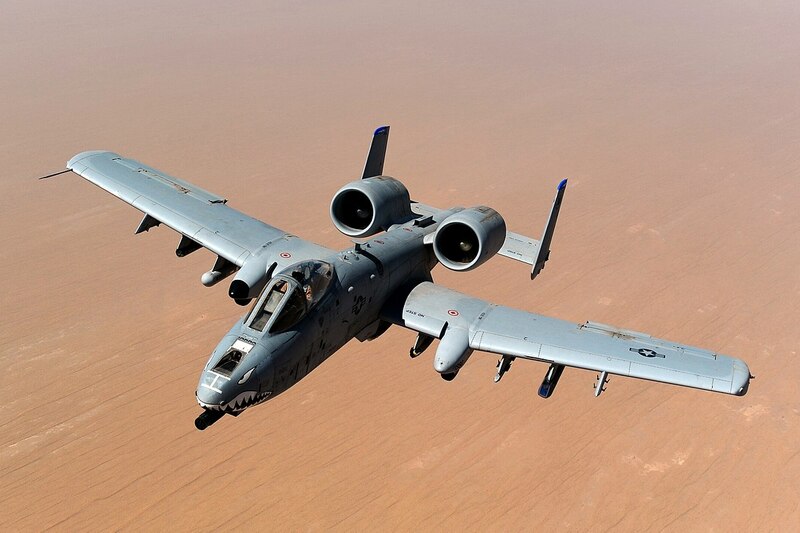 They give the A-10 its top speed of 439 miles per hour, with a cruise speed of 300 miles per hour. The stall speed is low for an aircraft of its size—138 miles per hour—allowing the A-10 its superb low-speed maneuverability. 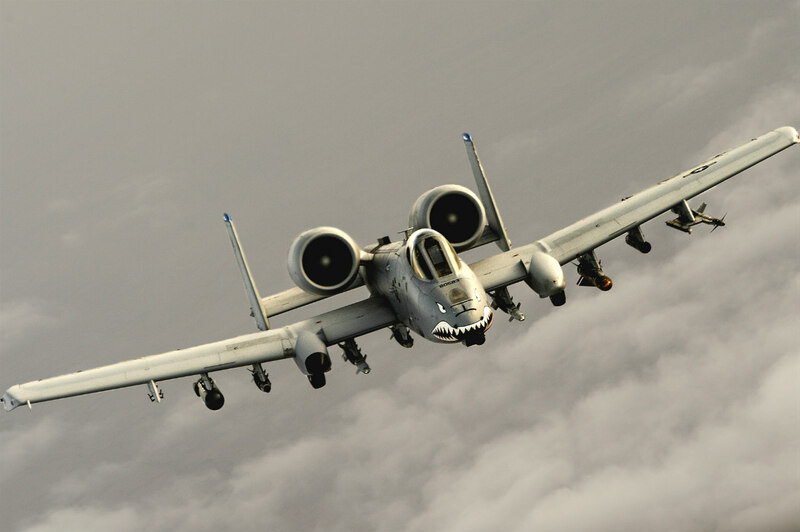 In keeping with its ground attack mission, the A-10 has a combat radius of up to 290 miles. This mission also affects engine placement. Due to the potential damage from foreign objects on primitive runways, the engines on the A-10 are placed above the wing rather than below to help shield them. The business end of the 30mm GAU-8 Avenger rotary cannon extends from the nose of an A-10. 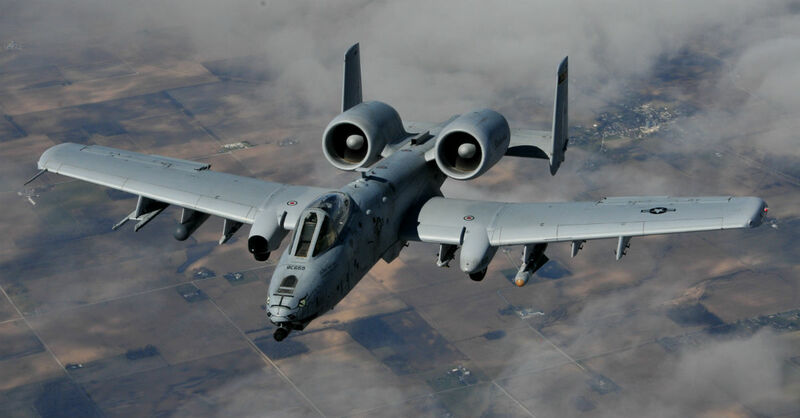 The cannon, which can fire 3,900 depleted uranium shells per minute, was the anti-armor weapon around which the A-10 platform was designed. 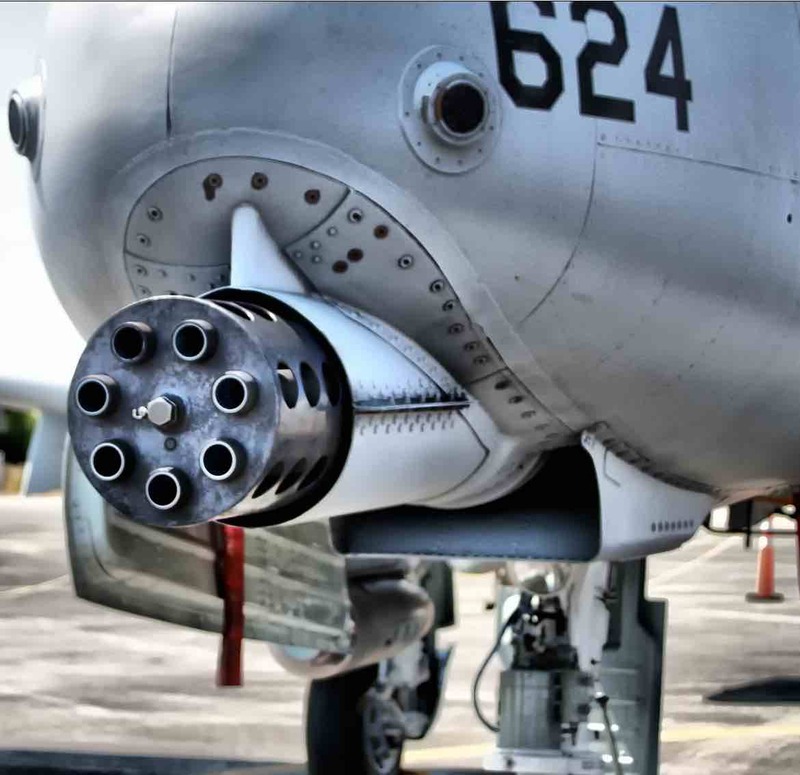 The primary integral weapon of the A-10 Warthog is a nose-mounted 30mm GAU-A8 Avenger Gatling-type Autocannon. In addition to contributing to the Warthog’s iconic look, it also allows a hard-hitting option for both air-to-ground or air-to-air targets. The heavy lifting is done by its disposable munition. With multiple hardpoints, the A-10 can be equipped with everything from bombs to mines to missiles of various sorts. The AGM-65 Maverick is a common choice: a surface-to-air missile that fits perfectly with the A-10’s mission. 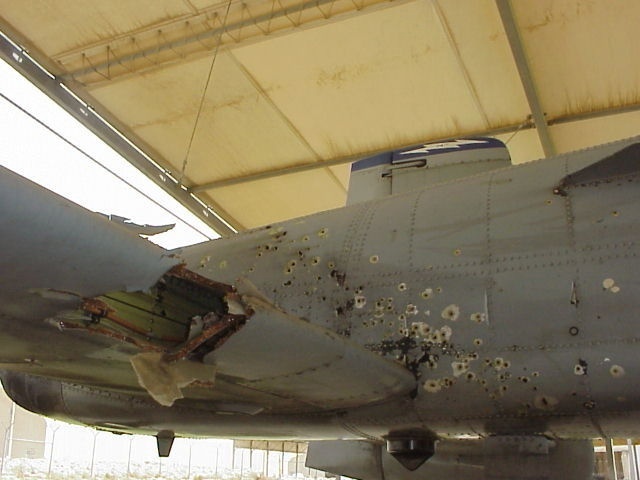 A badly damaged A-10 hit over Baghdad in 2003. Pilot Kim "Killer Chick" Campbell managed to stay airborne for another hour and landed safely. After a brief deployment during the invasion of Granada, the A-10 first saw real combat during the 1991 Gulf War. 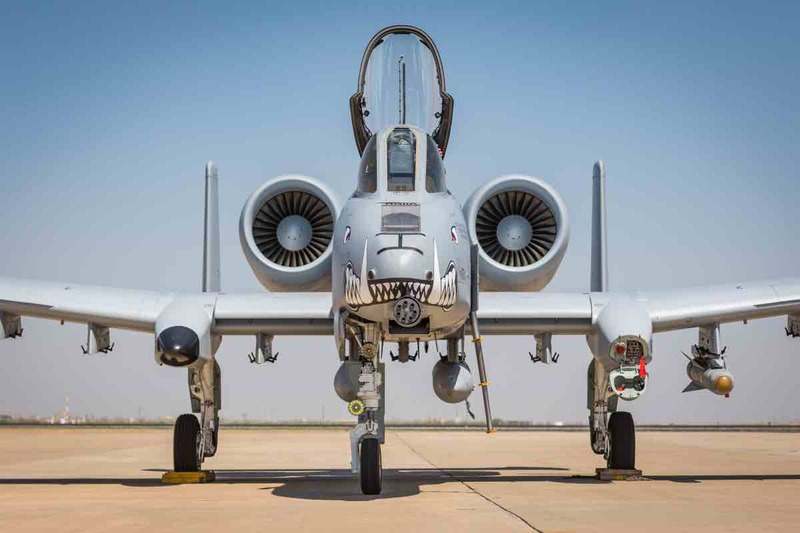 With concerns about Iraq’s large and well-equipped armor divisions, the A-10 became the backbone of the coalition’s close air support. 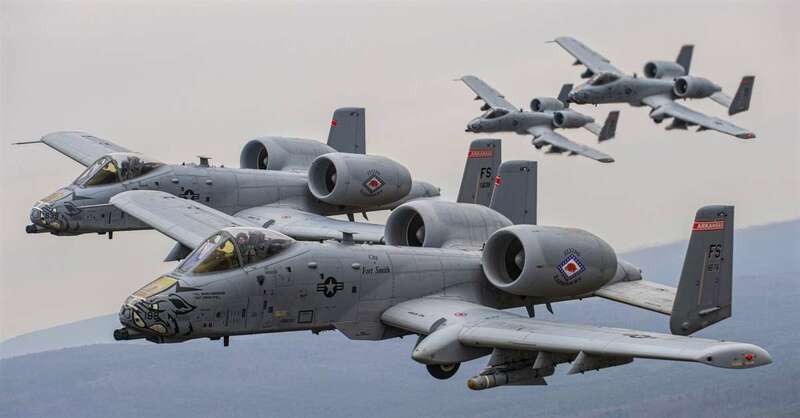 According to official record from that conflict, the A-10 Warthog had a mission capable rate of 85 percent in the war and fired 311,597 rounds of 30 mm ammunition over the course of hostilities. Despite the many dangerous missions flown, only a single Warthog was shot down by the enemy. 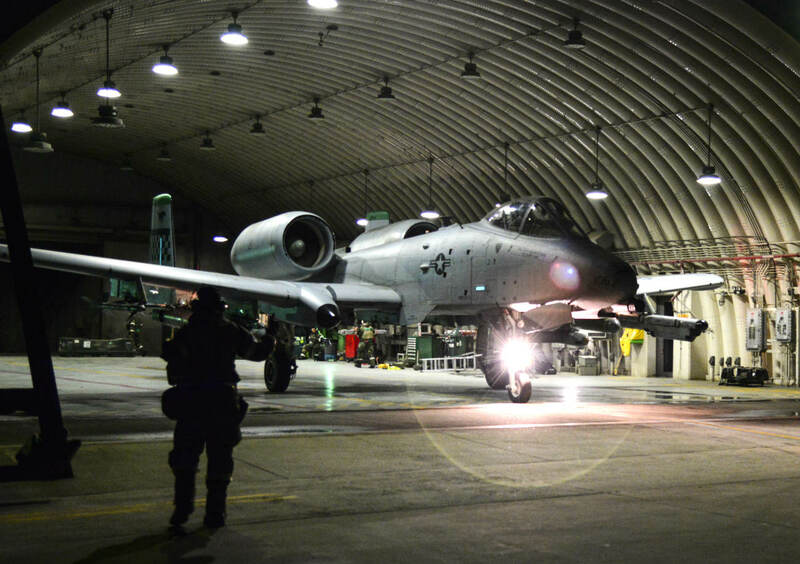 This was the auspicious beginning of a long career, as the A-10 is still proving itself effective during the ongoing War on Terror in the Middle East and Afghanistan. As a long-serving aircraft, the A-10 has undergone many upgrades. These chiefly focus on either flight controls or sensors and weapons delivery systems. The first glass cockpits for the A-10 Warthog began in the early 1990s, adding enhanced multifunction displays, computerized autopilot, and a collision warning system. The A-10 was a trend-setter in the late 1970s when it became one of the first ground attack aircraft to use laser-guided munitions. Currently, further upgrades are under discussion, including more powerful engines and an advanced search and rescue locator system. Despite its obvious strengths and many accolades, the future of the A-10 Warthog remains uncertain. The aging nature of the fleet led to questions about sustainability at a time when unmanned drones are taking over the ground attack and close air support roles. There is serious discussion about having the F-35 Lightning II perform many of the functions currently handled by the A-10. This has met with serious opposition from within the US Air Force, further complicating any decision making. While there are no definite plans for retirement yet, the days of the A-10 Warthog may, unfortunately, be numbered. If you enjoyed these A-10 facts, we think you’ll enjoy these F-16 facts.